The revival of the Nokia brand by Finnish company HMD Global has been a runaway success up to this point. All recent models run pure versions of Android (One or Go) and offer great value for money — a real boost to the budget and mid-range smartphone market especially. At an event today in Moscow, HMD announced updated versions for three of its best-selling products. 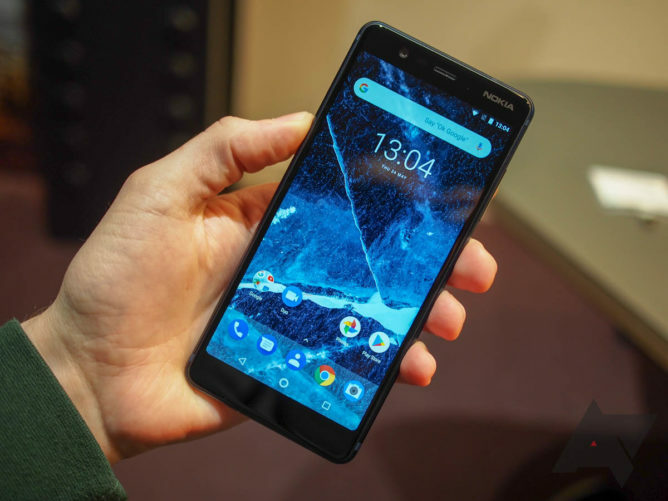 The new Nokia 2, 3, and 5 share the same DNA as their predecessors but include a range of improvements to make them even more enticing, while maintaining Nokia's "pure, secure, and up-to-date" promise. 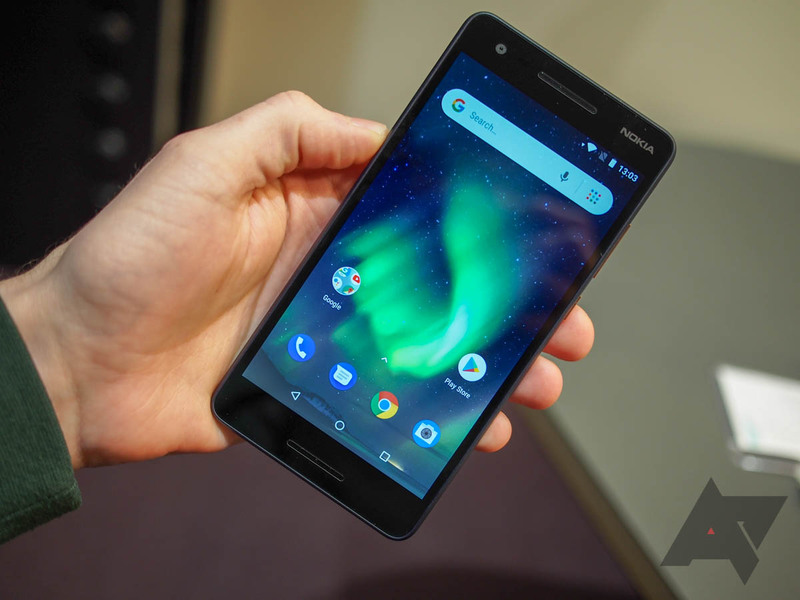 The new Nokia 2 seems like an incremental update at first glance, but there are some significant changes and improvements — most notably, the OS. The Nokia 2.1, like the Nokia 1, is now an Android Go phone. Running Google's lightweight Android build tailored for phones with low memory and storage should make for better performance and more usable space than its predecessor. Consumers clearly want larger screens, even at the low-cost end, and that's what HMD gives them here. The display has been increased by 20% to 5.5", although it's still a 720p (16:9) panel. Entertainment is also likely to be improved somewhat by the stereo speakers. The cameras remain the same, as does the 1GB RAM/8GB ROM configuration that should certainly benefit from Android Go. The battery on the Nokia 2.1 is marginally smaller than the 4,100mAh cell on the previous model, but it's still huge compared to most phones, so HMD is promising 2-day battery life once again. The 400-series Qualcomm Snapdragon processor (up from 200 last time) apparently equates to around 50% more processing power, so this phone should be a better performer overall. Four colors will be available when the Nokia 2.1 launches in July (Blue, Copper/Blue, Silver/Grey, Silver), each looking more interesting than you'd expect for a phone costing just $115. That price is just a global average, and we can expect the Nokia 2 to go on sale in emerging markets first. The new Nokia 3 builds on the proposition of the original by offering a premium metal chassis with budget internals. The back may be polycarbonate, but the 2.5D curved Gorilla Glass on the front gives this a look beyond its price tag. It features a MediaTek 6750 processor, alongside either 2 or 3GB of RAM and 16 or 32GB of storage, but it should still offer decent performance — 30% better than its predecessor according to HMD. Great battery life is an important aspect of all phones made by HMD, and an increased capacity to 2,990mAh should ensure the Nokia 3.1 is no different. The screen sees a modest increase to 5.2", but it also moves to an 18:9 ratio while maintaining the HD resolution. There's a slight bump in spec for the rear camera, although once again the front camera is unchanged. Like the Nokia 2.1, the 3.1 also sticks with Micro USB for charging, although that's unsurprising given the target market. It will go on sale sometime next month, costing €139 for the 2/16GB model or €169 for the 3/32GB variant. The more expensive version should also be on the Android Enterprise recommended list. If the Nokia 3.1 delivers premium looks at an affordable price, the Nokia 5.1 takes it one step further. The full metal body is machined from a single block of 6000 series aluminum. Nokia's minimalist design aesthetic is as plain as ever, and this phone also looks better for having the fingerprint scanner on the back this time around. The internals include another MediaTek chip (its predecessor had an SD 430), the Helio P18, and the same RAM/ROM configurations as the Nokia 3.1 — 2/3GB with 16/32GB — with a supposed 40% increase in performance. The display has been improved in all areas. The original Nokia 5 had a 5.2", 720p, 16:9 panel, but this updated version comes with a 5.5", 1080p, 18:9 screen. The rear camera again gets a small bump up to 16MP, and as with the other two, the front camera remains the same. Alongside the 2.1, the Nokia 5.1 will be available to purchase in July. It'll set you back €189 for the 2/16GB model or €219 for the 3/32GB option. The higher specced 5.1 will also be Android Enterprise recommended. HMD said that dual and single SIM variants will be available for each phone, depending on the region. For more information, check out our hands-on post. Since Nokia removed it from its site, it could be subject to change, so we'll keep an eye out in case it reappears with different values. Moscow, Russia, May 29 May 2018 - HMD Global, the home of Nokia phones, has continued to rapidly renew its portfolio of Nokia Android smartphones by today announcing Nokia 5.1, Nokia 3.1 and Nokia 2.1. Offering access to the latest Google services, such as the Google Assistant, the trio of smartphones continues to deliver a pure, secure and up-to-date Android experience with Android One and Android Go, combined with the premium craftsmanship and design expected from a Nokia smartphone and the performance to match. Juho Sarvikas, Chief Product Officer, HMD Global, says: "We are encouraged by the response that we are getting to our products. Our consumers tell us they love their Nokia smartphones on Android. It is our constant endeavour to enhance the experience to better suit the everyday needs of our fans. Every single detail on a Nokia smartphone has been designed with consumers in mind, which is why we are delighted to introduce these refined smartphones that deliver a dramatic step up on performance, continue to drive the most premium design elements to price points accessible to everyone and deliver the class-leading quality that you expect from us. "With this range, we deliver larger screens, enhanced performance across our range with processor upgrades offering up to 50% higher performance while maintaining the perfect balance with power consumption and stunning designs – all in a segment where consumers often need to compromise. With our renewed portfolio, you can now enjoy a premium smartphone experience without paying a premium on the price. 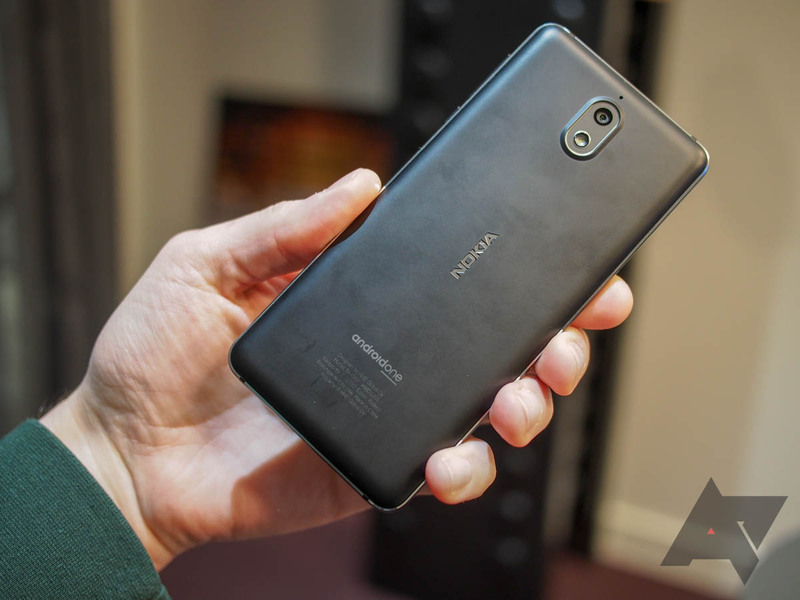 Each phone radiates effortless style with meticulous attention to detail and no matter your budget, you will be able to find a Nokia smartphone that is right for you." 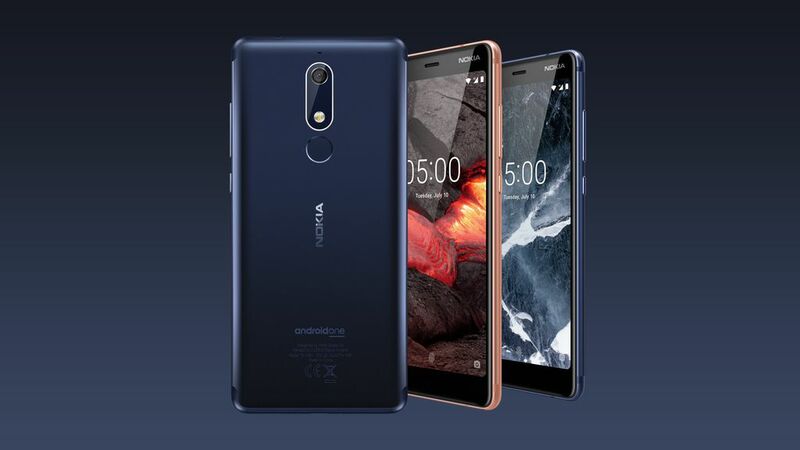 Continuing with the classic design of the previous generation, the new Nokia 5.1 is understated, compact and effortlessly stylish. It gets its structural integrity from a single block of 6000 series aluminium, refined through a rigorous 33 stage process of machining, anodising and polishing to give an exquisite satin finish and feel in the hand. 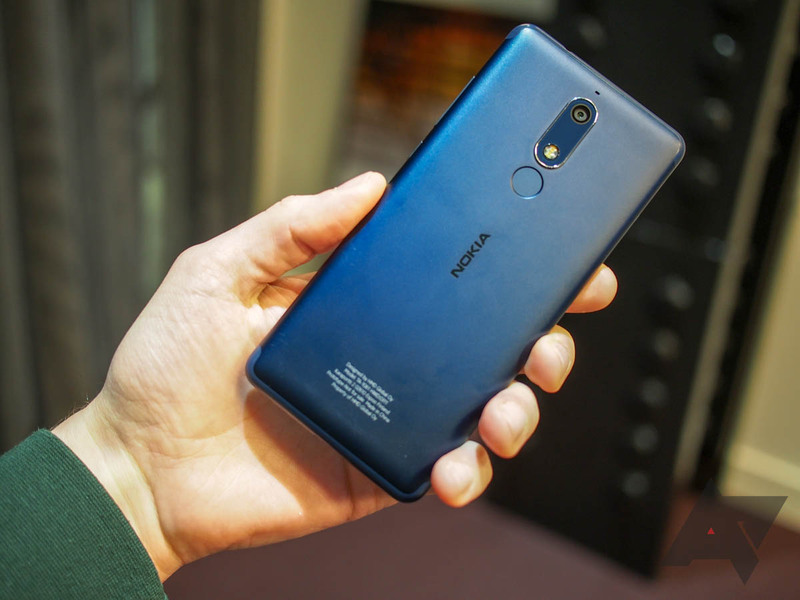 The new Nokia 5.1 packs a 0.3-inch bigger display in a 2mm narrower body and precise attention to the finest details like harmonising the rounded edges on the screen bezel with the corners of the phone to offer a compact, pocketable experience. Nokia 5.1 comes with a higher resolution 5.5-inch Full HD+ display in 18:9 aspect ratio, making watching your favourite content – be it browsing the web, watching your favourite shows, sharing funny memes or gaming - a delightful experience. Powered by a 2.0 GHz MediaTek Helio P18 octa-core processor, Nokia 5.1 delivers a smoother all-round performance that is 40% faster and more powerful than the previous generation so you can create, edit and multitask effortlessly. You can capture more detail of what matters in your life with its upgraded 16MP rear camera with phase detection auto-focus and wide-angle front camera. Nokia 5.1’s fingerprint sensor has been relocated to the back of the phone so you can unlock it with your index finger or leave your wallet at home as you pay securely and easily with NFC through Google Pay. The new Nokia 5.1 will come in three classic colours: Copper, Tempered Blue and Black (available a few weeks later); two storage/RAM options: 2GB/16Gb, 3GB/32GB, and will be available starting July 2018 at a global average retail price of Euro 189. Nokia 3 has been the most successful model in the line-up of Nokia smartphones and our biggest franchise to date. 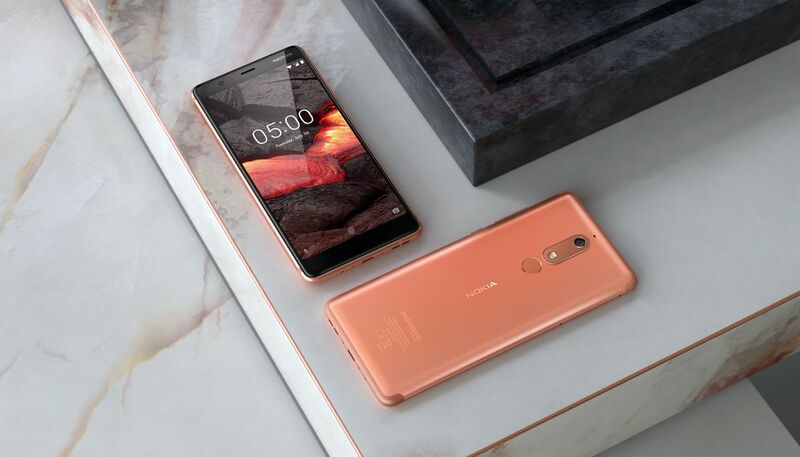 The new Nokia 3.1 now forges a rich connection between materials with a stunning design and delivers the performance to match, making it more attractive than ever before. The beautifully curved screen melts into the slim CNC’d aluminium sides with a dual diamond cut to deliver a perfect harmony of materials. Just the right size for single hand use, our most affordable 18:9 smartphone with 5.2-inch HD+ display gives you more content at one glance, while the 2.5D curved display is protected by damage resistant Corning® Gorilla® Glass to keep it beautiful for longer. The Nokia 3.1 runs MediaTek 6750, an octa-core chipset, giving you twice the processor cores and a 50% performance boost on the previous generation so your phone can keep up with you. Featuring an upgraded 13MP main camera with auto focus, Nokia 3.1 captures the memories that you’ll want to relive over and over. 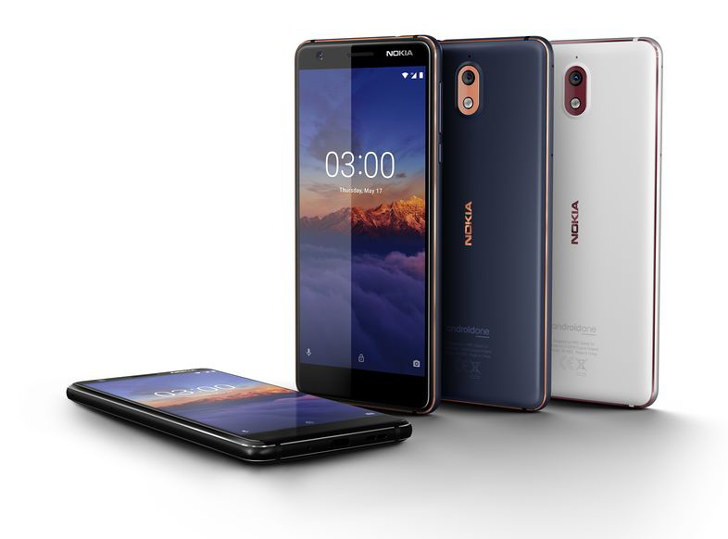 Thanks to its full set of sensors usually only found on premium phones, the Nokia 3.1 lets you make the most out of popular AR apps like Pokémon Go, pay securely and easily with NFC on Google Pay1 and capture the whole scene with panoramic imaging. The new Nokia 3.1 will come in three colours: Blue/Copper, Black/Chrome and White/Iron; two storage/RAM options: 2GB/16Gb, 3GB/32GB, and will be available starting June 2018 at a global average retail price of Euro 139. Serving long-lasting entertainment needs for consumers who are always on the go, Nokia 2.1 comes with a 2-day battery life, a large 5.5-inch HD screen and dual front-facing stereo speakers. The Nokia 2.1’s huge 4,000mAh battery now charges even faster so you can get back up and running even more quickly than before. With its HD display almost 20% bigger than the original, you can enjoy high-definition videos on the go while the dual speakers with bespoke 3D formed stainless steel detail gives you an amazing stereo sound. Offering the quality and style you expect from a Nokia phone, Nokia 2.1’s Nordic design and metallic accents guarantee that you will stand out from the crowd. Its sleek, rounded and ergonomically designed, inherently coloured polycarbonate back keeps your phone safe, vibrant and robust against scratches. The upgraded Qualcomm™ Snapdragon® 425, 64-bit Mobile Platform gives fans the 50% faster and smoother performance they asked for with fast switching between apps. You can capture the action wherever you are with the Nokia 2.1’s 5MP front-facing and 8MP rear camera with auto focus. The new Nokia 2.1 will come in three metallic colours: Blue/Copper, Blue/Silver and Grey/Silver and will be available starting July 2018 at a global average retail price of USD 115. Pure, secure and up-to-date Android experiences across the rangeTogether with Nokia 8 Sirocco, Nokia 7 plus and Nokia 6.1, Nokia 5.1 and Nokia 3.1 also join the Android One family, delivering an experience designed by Google that is smart, secure and simply amazing. 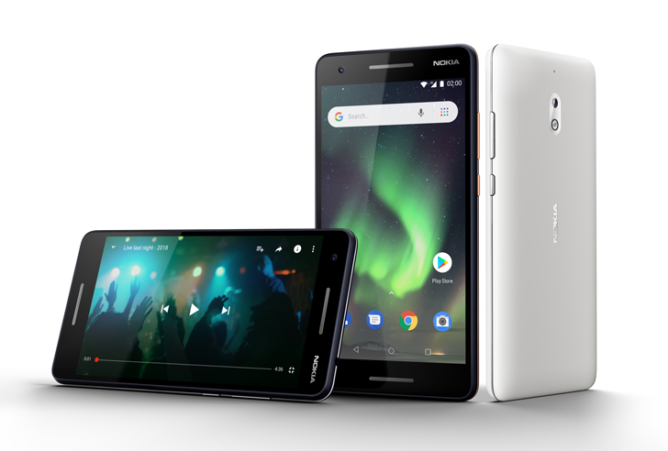 Nokia smartphones with Android One offer more storage and battery life out of the box, as well as the latest AI-powered innovations from Google to help you stay ahead of the game every day. Nokia 5.1 and Nokia 3.1 will receive three years of monthly security patches and two years of OS updates, as guaranteed in the Android One programme. This puts them among the most secure phones out there, always up to date with the latest Google services like the Google Assistant and Google Photos with free unlimited high-quality photo storage. Meanwhile, Nokia 2.1 comes with Android Oreo™ (Go edition), designed for smartphones with 1GB RAM or less, giving you a smooth Android experience, more storage out of the box and consuming less data. All three phones are ready for Android P.
Anne Laurenson, Director, Android Partnerships at Google, says: "People all over the world look for smartphones that fit their needs and Android’s mission has always been to bring the power of computing to everyone. Part of that is ensuring a great experience across the broadest range of devices. 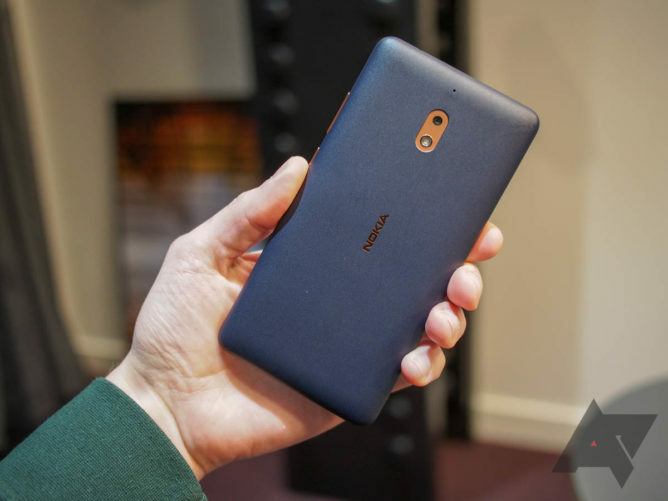 It's great to see HMD Global taking a leading role in that mission by launching the Nokia 2.1 running on Android Oreo™ (Go edition), as well as having two phones joining the Android One family. 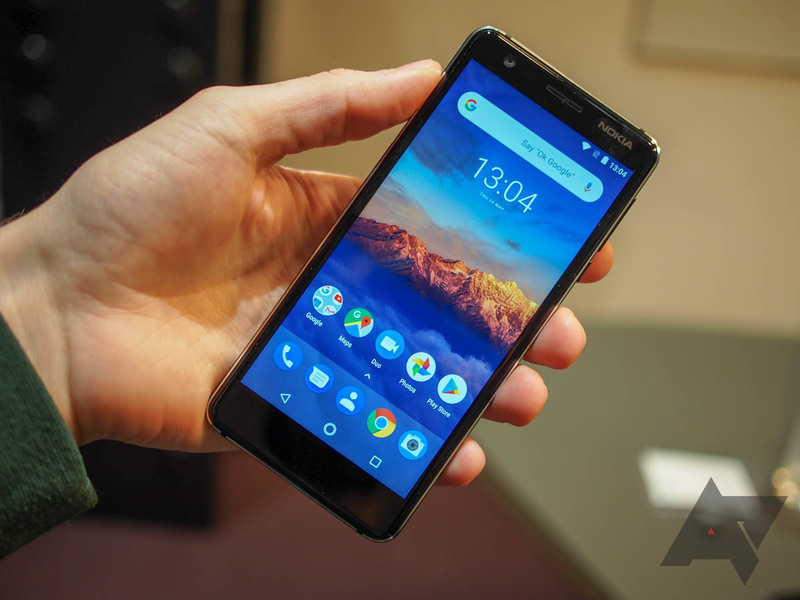 We have worked closely to combine Google’s latest software innovations with HMD Global’s expertise in quality hardware, so the Nokia 5.1 and Nokia 3.1 can bring the smart, secure, and simply amazing Android One experience to everyone." Nokia 5.1 will be available from July 2018 for a global average retail price of Euro 189. Nokia 3.1 will be available from June 2018 for a global average retail price of Euro 139. Nokia 2.1 will be available from July 2018 for a global average retail price of USD 115. Nokia is a registered trademark of Nokia Corporation. Android, Android One, Google and Google Photos are trademarks of Google LLC; Oreo is a trademark of Mondelez International, Inc. group. Qualcomm and Snapdragon are trademarks of Qualcomm Incorporated, registered in the United States and other countries. Qualcomm Snapdragon is a product of Qualcomm Technologies, Inc. and/or its subsidiaries.